The industrious Ant is a ludicrous and selfish being who embodies the indifference of an inward-looking society. On the contrary, « Cigale » (the Grasshopper) who « had sung her song all summer long » has all the virtues of generosity. In general indifference, she dies and ascends ti heaven like a saint. 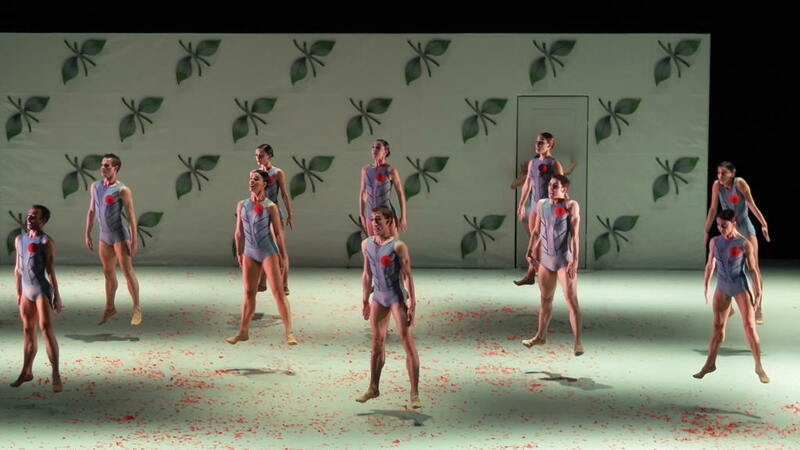 Freely adapted from La Fontaine’s fable by Henri Cain, the Divertissement-Ballet by Jules Massenet was performed for the first time on the stage of the Opéra Comique in a choreography by Mariquita on the 4th February 1904. In scenery reduced to the essential, I substituted the props giving meaning to the plot for balls. Food, devotion and gifts offered by Cigal, the balls symbolize all the exchanges. 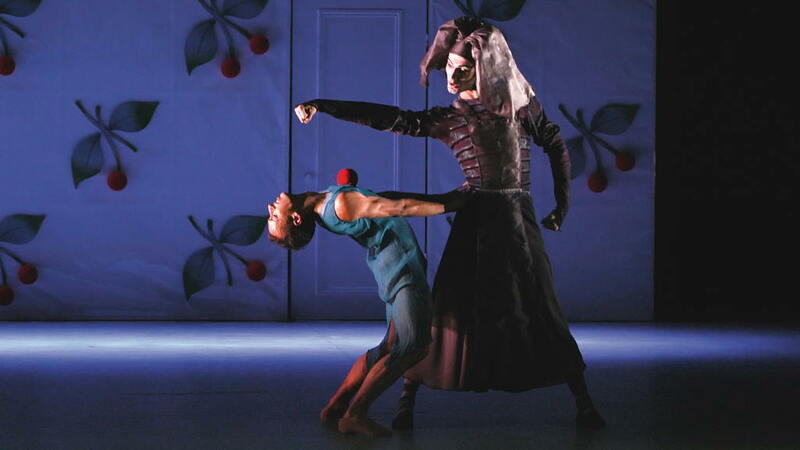 As for the cast, the character of the Anti s played by a man like in the original version, while the role of Cigale is multiplied and shared amongst all the dancers. 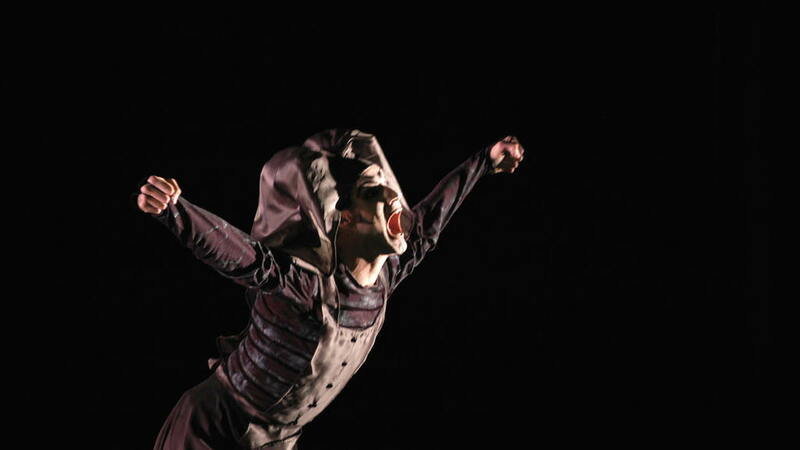 As the work moves from comedy and drama, I embrace these genres like in silent movies and « verismo » dramas, adding some fancy to the whole of the ballet.